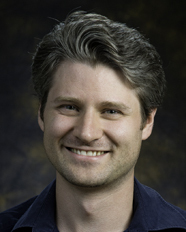 Christian P. Petersen, associate professor in the Department of Molecular Biosciences at Northwestern University, is the recipient of the 2018 Elizabeth D. Hay New Investigator Award for his outstanding research in developmental biology during the early stages of his independent career. Petersen has made significant contributions to our understanding of the molecular mechanisms underlying tissue regeneration in planarians. As a postdoc with Peter Reddien at the Whitehead Institute for Biomedical Research, he began to address how animals know which tissues need to be regenerated. He discovered that Wnt signaling through β-catenin controls regeneration polarity. While wnt1 is expressed at the site of both head and tail amputations, it's activity is only required for regenerating posterior wounds. The Wnt inhibitor, notum, was identified by Petersen as the earliest asymmetrically transcribed gene that is activated in head, but not tail regeneration. Since beginning his independent career at Northwestern, Petersen has shown a requirement for zic-1 in head regeneration, ptk-7 in patterning the trunk, and a role for integrins in proper brain organization following amputation. He has done exceptional work to understand how during regeneration, new body parts properly scale with the existing body. He showed that regenerating planarians completely restore appropriate brain:body proportions by increasing or decreasing cell numbers as needed and that this is regulated through a Wnt/notum negative feedback loop. Petersen was awarded the Ellison Medical Foundation New Scholar in Aging award in 2011. In 2013, he received the highly competitive NIH Director's New Innovator Award which supports exceptionally creative early-career scientists who carry out innovative, high impact research. Petersen will deliver the Elizabeth D. Hay New Investigator Award lecture at the Society for Developmental Biology 77th Annual Meeting in Portland, Oregon on Monday, July 23, 2018.